Originating from South Africa, the now Melbourne dweller and singer-songwriter Ruby Gill has a voice that's distinctively her own. In "Your Mum" she sings out her frustrations with a strong-willed and emotional tone that quickly goes from assured to heartbreaking. While at one point her voice is leveled and steady at other points it's erratically emotional. The main line Gill repeats is "I'm sorry I don't cook like your mum" but it's clear that the undertones of this pain are about more than just home-cooked food. Still the way, she uses this argument to release her insecurities both sarcastically and genuinely are breathtaking. With just an electric guitar and a powerhouse voice gone soft she sings, "I know I don't cook like your mum but I'm trying to love her son." Offering her voice, story and self-doubt wrapped up in a song, Ruby Gill has truly given us something of value and substance. 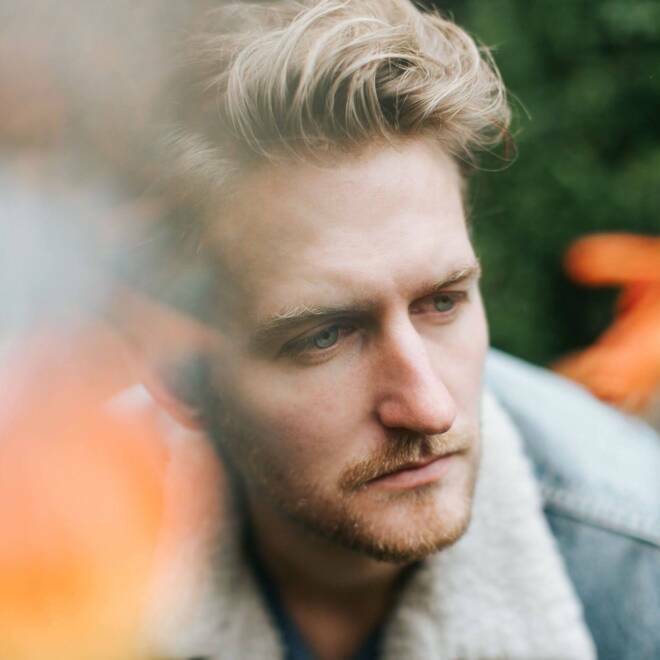 For such a pretty song, OWEL’s “I Saw Red” is as tense as they come. 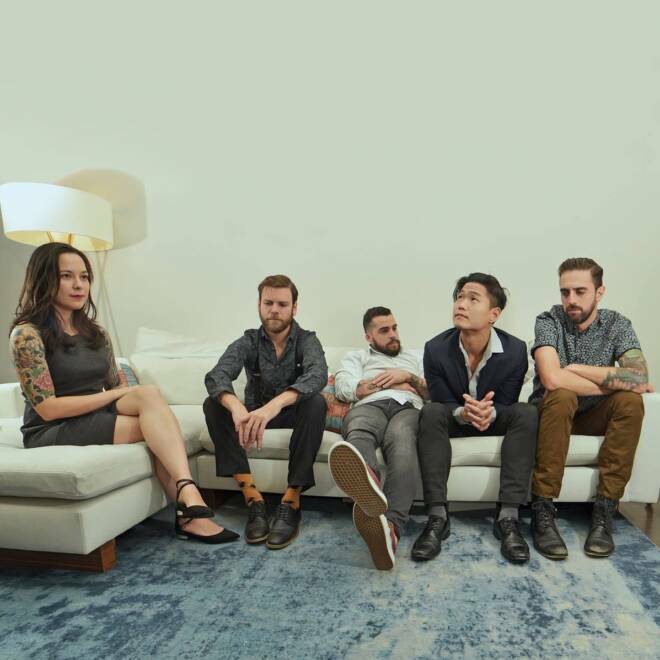 The choruses soar with an orchestral beauty not often paired with the suspense of the quietly haunting verses, showing off the New Jersey band’s versatility and mastery of emotional expression. Singer Jay Sakong uses colors to represent clearly delineated absolutes — the blue of sadness, the color draining altogether from a horrified face or the stark black-and-white contrast of finality and hope, how a goodbye can be loaded with the context of either “Nice to know you” or “Hope to see you soon.” “It’s the most honest and straight forward song I've ever written, and I think there's a real honesty and innocence in that simplicity,” says Sakong. But it is still full of surprises, as he worries that things are not so cut and dry after all. “I found / That this certain shade / I used to see as grey would fade,” he sings, and this realization is a jarring one. The gorgeous orchestration enters the uncanny valley of digital sound, not quite real as the instruments are pulled menacingly out of key. Even through the sepia-toned lens and rose-colored shades, those tans and reds are all just shades of grey. It's been a big year for England's indie-folk songwriter Fenne Lily. After a handful of releases on Spotify, she released her first full-length album On Hold and is already singing to sold out crowds. Although the album came out in April, it's one we still find ourselves going back to and "Bud" is the perfect of why. 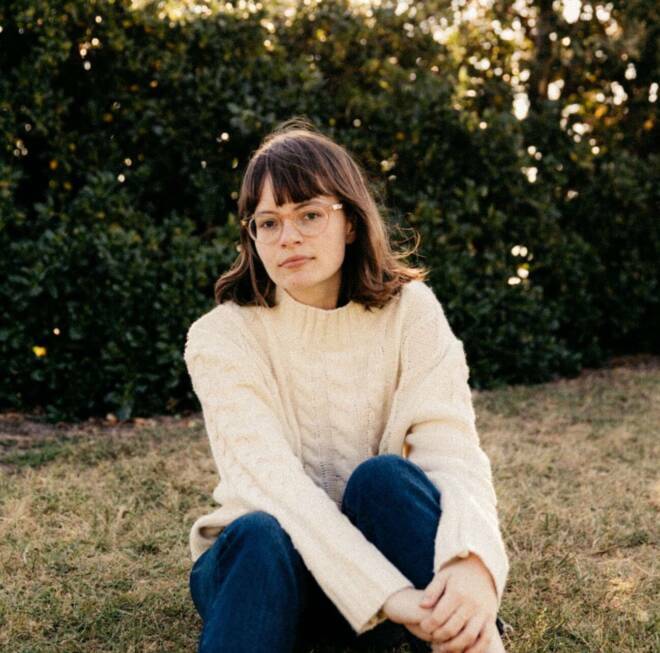 Both delicate and universal, Fenne Lily captures us in this gorgeous three minute song and makes us feel everything she's singing. "You're on my mind / And I'd like to talk things through / You're on my mind and I know I'll never do." The waters of words unsaid are often murky and treading through them means having to decipher between what is necessary, risky, or both. With just an acoustic guitar and a voice that is at times so soft it seems angelic, Fenne Lily sings bravely into the face of uncertainty with her armor down. Be sure to catch her on tour with Lucy Dacus and also Andy Shauf this fall! 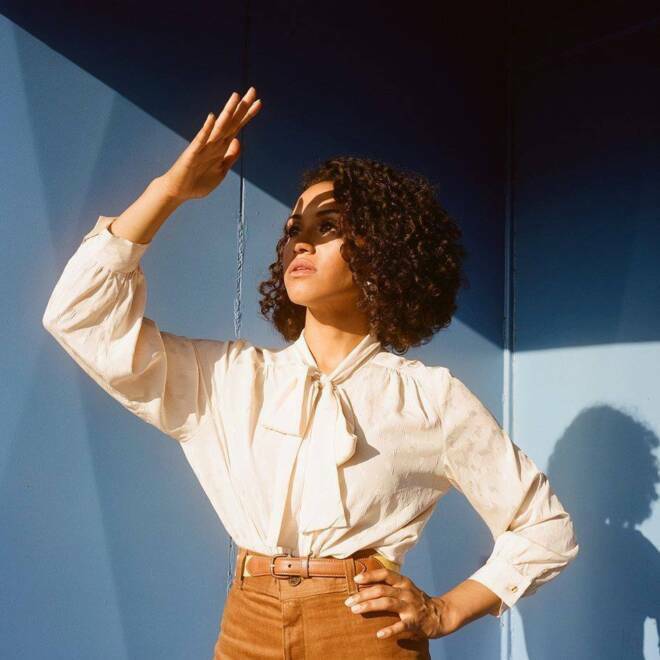 Nearly five months after the initial release of her second album, Kadhja Bonet has put out into the world a collection of outtakes from the making of Childqueen. 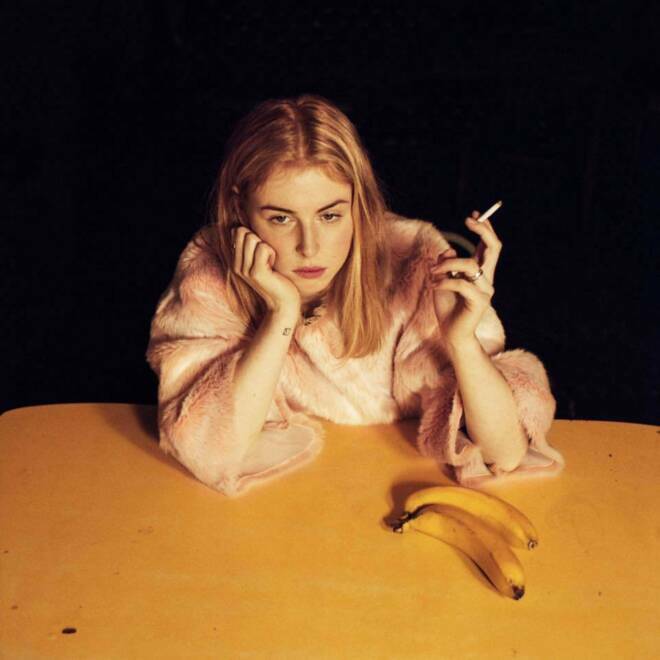 “The Watch” — a soft spoken ballad of questions — is apart of the Childqueen Outtakes EP, a set of songs that the California-based singer/songwriter believed “deserved to have a life of their own.” Bonet’s voice sails along a subtle, but undeniably psychedelic-pop undercurrent, “Bring on the sun / bring on the sun.” And as the temperature shifts, fall progressing into winter, “The Watch” has a timing that could not be better. But, we have a feeling that the song is speaking to more than a change in weather, but to the way life passes us by season to season, year to year. Bonet asks us, “Does anybody know what happened to yesterday? / It was gone before I noticed” and we relate, we understand exactly what she is asking — even if we don’t know the answer ourselves. A song that carries itself with grace through a sea of existential uncertainty, “The Watch” exists in a space of its own, ringing with emotional resonance. 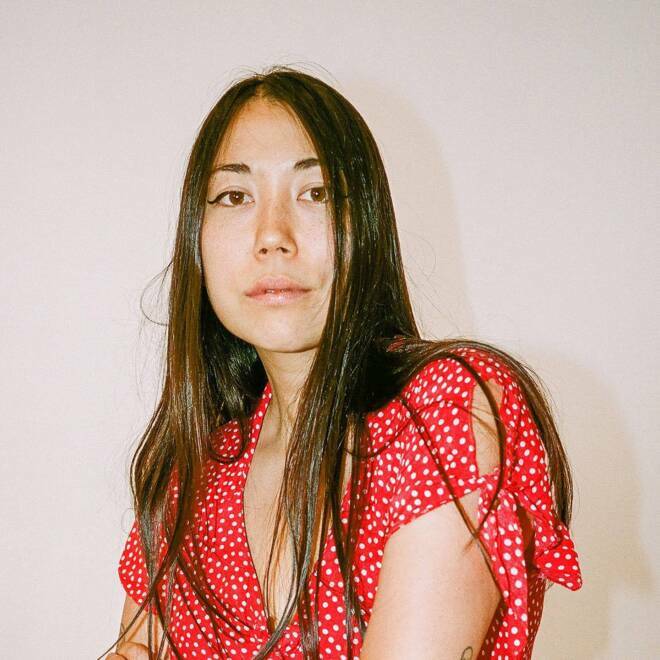 Los Angeles singer-songwriter SASAMI recently released her second single ever, “Not The Time.” Filled with distorted guitars, she wistfully sings about a difficult breakup that she can’t seem to shake off. She croons through the song like an open diary, confessing that the relationship ended because it occurred at the wrong time and place. Within the midst of the track, she breaks into a piercing guitar solo that fazes out and reveals emotive synths. Thunderous percussions bring out her angst and the noise level becomes louder as she tries to drown out her sense of malaise. At the end, her voice breaks as she sings the last line filled with hope, “But you said that you would save some space for us.” SASAMI's openness is an endearing quality of her musicianship and it’s something we hope she continues to use across her releases. 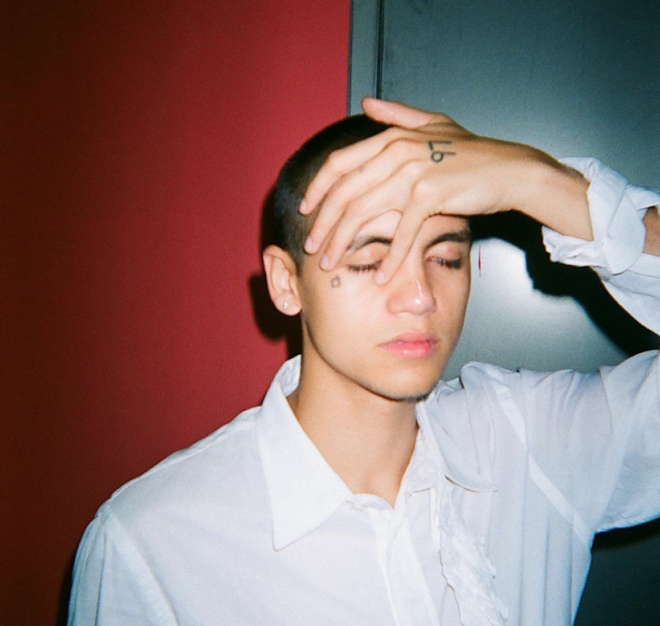 If you haven’t heard of Dominic Fike, you better prepare to. Yesterday, the dark horse dropped his debut project, Don’t Forget About Me, Demos, after sparking a bidding war amongst some major labels without having a single track available online. The EP is a hallmark of music making in the internet age, fusing elements of hip-hop and alt rock in a genre of its own. Leading with “3 Nights,” Fike chronicles relationships past, family dynamics, and aspirations. The track juxtaposes classic chord progressions with Fike’s unique sound to create a bop not to be forgotten. Los Angeles native Worn-Tin is back with his latest single "Cycles." Warner Hiatt's lyrics seem to be indicative of the twenty-somethings way of living in 2018. Our new passions take the place of old ones, though consistently losing the desire to make them work, cycle after cycle. 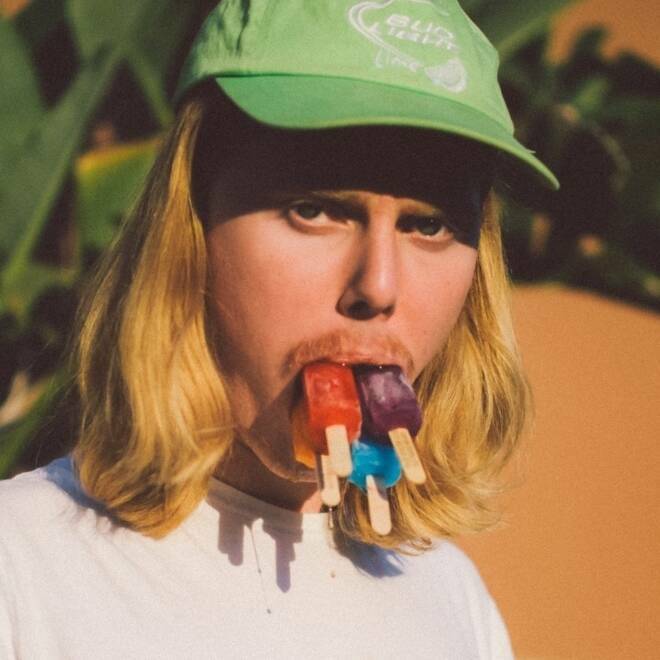 Despite the lackdasical vibes the song gives and even Hiatt's description of himself as a 24 year-old gamer who likes to swim, there's no hiding that the talent that goes behind the music. The beginning starts off sunny and bright and as Hiatt's lo-fi vocals come in they contrast the hopeful music behind it, exposing just how emotionally confusing it is to be in this cycle. The words of the chorus seem like the honest version of what you would say to any grown-up who asks the dreaded "what you're doing with your life." "I'm looking for a new obsession / The spirits gone / Just working on a new idea / Its next to none." It's an honesty that's refreshing, relevant, and jovial all-in-one. While this song belongs in your chill-lofi playlist, maybe its also an anthem of sorts. 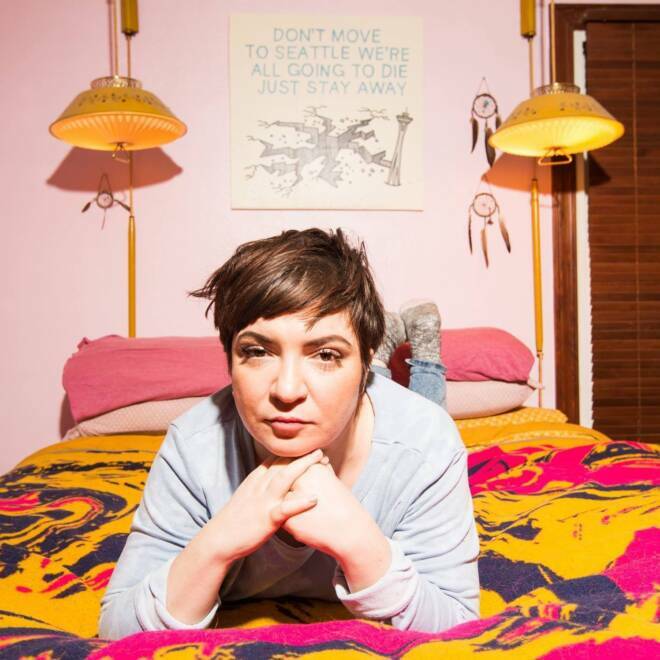 “I like taking breaks from ambiguity to really just tell a story,” Ryan Lindsey told Spin. “Keep It In Line” is not one of those breaks. 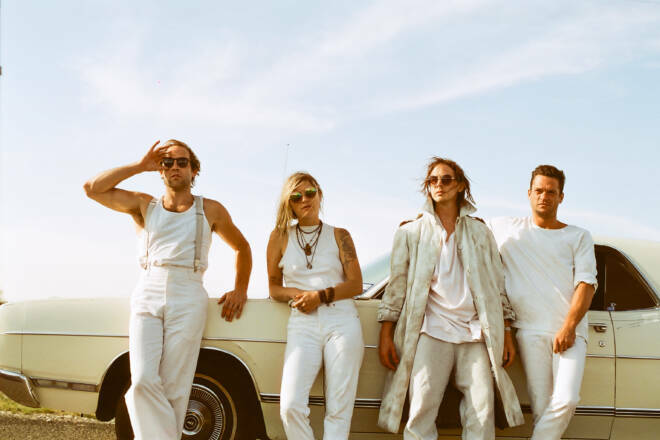 Instead, this standout track from BRONCHO’s latest album, Bad Behavior, has Lindsey wading through the depths of ambiguity, trying to sort out all of the different versions of the same stories. Even the song’s harmonies embody these varying perspectives, as the final prechorus places Lindsey’s voice squarely in the middle of two opposing guitar lines — one high, one low; one left, one right; one dreamy, one firmly grounded. Shrugging his shoulders, he sings, “I got my version, they got theirs.” While others might accept that impossible obstacle with a sigh, it’s hard to imagine Lindsey is too broken up about it behind the cheer of BRONCHO’s carefree earworms. Clocking in at just over two minutes with all of the groovy reverb of The Cure’s most upbeat efforts, but with none of the gloom, “Keep It In Line” is simply a joy. 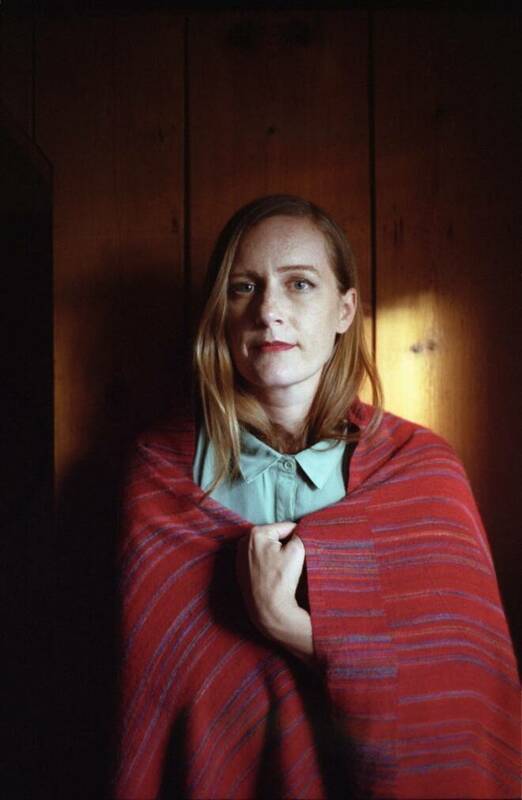 “Tenderness” by folk singer-songwriter Laura Gibson is the first single released from her forthcoming album. Before we even hear Gibson’s, voice there is a picture painted, by the depth of the drums and the vibrant bass riff. Meanwhile, the piano pulses subtly with a gentle touch. That really is what this song is about, the contrast of digesting grief and darkness while learning to embrace distant tenderness. When Gibson begins to sing, her voice cuts like glass and just for a moment it’s the only thing you can hear. “I met you / the year I stopped fearing my body / the sky split open above me / it was a pleasure to meet your pain”. She was able to craft lyrics that share an extremely personal story within the verses, paired with a ubiquitous chorus that listeners will find themselves singing along to. There is something very controlled about her delivery throughout the song, like speaking almost factually will help keep her composure. But if you listen closely there are brief moments of release where her vibrato cry’s out. Those are the moments that are truly soul-stirring. Be on the lookout for Laura Gibson’s fifth studio album, Goners, set to release October 26 on Barsuk Records. “Lighter” takes on a tone different from any other song on the record and that's what we love most. There is precision in the guitar riffs and clarity in Niedzialkowski’s lyrics. The story of constantly being pushed away in a relationship and the strength it takes to finally walk away on your own terms is something that resonates universally. The tune begins with a slide that is inherently Americana and as the song progresses there is consistent nods to the indie-pop structure that Cumulus fans adore.